do poets make good tour guides? Well, I’m about to find out. 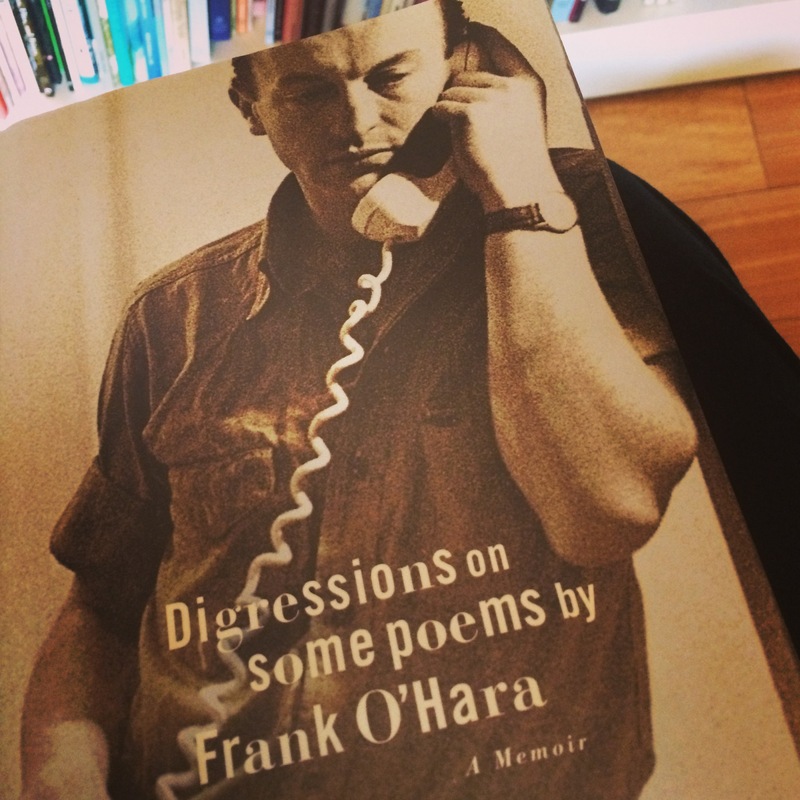 Because today, I’m going to the Museum of Modern Art with Frank O’Hara. Why you may ask? Well, sometime around 3.30am today, I realised that I was having a panic. Six days in Seoul and now only three in New York and I was getting profoundly agoraphobic, starting to create lists for activities I could never possibly do, giving that items on said list included such mundanities as “get the carpet steam cleaned” in the house I’m over 9,000kms away from. That said, I believe if obsessive compulsives were looking for a place to call spiritual home, New York city might be it, because it’s definitely a place that says “go, go, go”. And there are a goodly number of places to go. But I need a filter. Either that, or both me and the city will never sleep. I’ve often liked the idea of poetry as a temporal map, a way of charting and creating sense of a particular place in time, as opposed to space. The snapshot of place and time is an element of what I found so inspiring about putting together the Peril Map, and is intrinsically a part of the Melbourne Poetry Map. But I’ve never really considered poetry that good a way to get around, I mean the MPM is pretty much a guarantee for getting lost, although that’s partly the pleasure. I won’t pretend to know Frank O’Hara or his work deeply, but I have always loved its vernacular, sardonic and contemporary – and quintessentially American voice, Lana Turner collapsing! There’s a romanticism to imagining Frank sneaking out on his lunch breaks from the MOMA to write poetry, where he started selling postcards and eventually worked as a curator. I held a beautiful reissue copy of In Memory of My Feelings yesterday at the lovely library space of Poets House. And I love going places with a nice gay poet, so Frank seems as good a New York tour guide as any.